My interest broadly lies in understanding patterns of diversity in space and time. Addressing questions in systematics, diversification, and biogeography, in conjunction with information on natural history, morphology, and climate, fascinates me. For my Ph.D. I am working on a group of geckos belonging to the genus Hemidactylus. Peninsular India is home to an endemic radiation of these geckos, which have largely diversified in the dry zone. 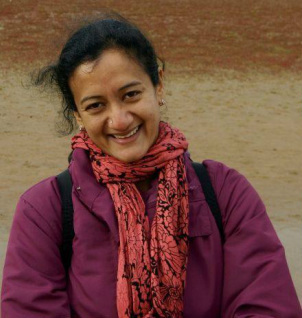 My work revolves around understanding the patterns of species and morphological diversification, in the historical context of the subcontinent. Part of my work also involves understanding niche diversification in the larger tropical Asian clade. I’ve been at CES since 2008. My primary interests are in taxonomy, species distributions and biogeography. I’m also an amateur wildlife photographer who loves to travel, and eat. My Ph.D. research is on the biogeography, diversification and systematics of the genus Geckoella (Squamata: Gekkonidae). I plan to integrate molecular phylogenetics and species distribution modeling along with more traditional taxonomic work. My main questions concern the evolutionary origin of Geckoella and diversification within this group. I was in the lab from 2007 to 2012, working on different aspects of dispersal in butterflies. I first carried out a meta-analysis of available literature to answer the question: is there a single trait, or set of traits, which can be considered the best predictors of butterfly dispersal ability? Among many ecological and life history characters that affect dispersal, butterfly wingspan emerged as a very strong predictor of dispersal ability. I tested this finding on two species of Satyrine butterflies (commonly called browns) from India, using population genetics: Melanitis leda (the Common Evening Brown), and Ypthima baldus (the Common Five Ring). Both species have very similar ecology, but the wingspan of the evening brown is about twice that of the five ring. I found that the larger M. leda indeed seemed to fly greater distances, and had a more homogenous population genetic structure. The Western Ghats has a variety of habitats, and there is a stark difference in butterfly communities between high elevation montane areas and lower elevations. With this in mind, I compared the population genetic structure of species that inhabit different habitats. Heteropsis oculus (the red disc bush brown) inhabits high elevation areas above 1200 m, which occur in hill complexes isolated from each other. Mycalesis patnia (the glad-eye bush brown) is found in all lower elevation areas, distributed continuously along the Western Ghats. I compared gene flow in both these species to answer the question: does the high elevation specialist move lesser than the lower elevation species? Toward the end of my PhD, I got interested in science journalism, and I am now doing an MA in it from the UK. To read more about my work, please visit my website. I was in CES since 2006 pursuing doctoral research at Dr. Praveen Karanth’s Lab. I worked on the phylogeny and biogeography of Hemidactylus geckos of India. I am interested in colonisation history and phylogeography of geckos in relation to Human mediated gene flow. I joined the Indian Institute of Science for my doctoral degree at the Centre for Ecological Sciences in the year 2006. My primary interest is in molecular systematics, evolutionary biology and biogeography. My doctoral research aimed to resolve the molecular phylogeny and to understand biogeography of a centipede family – Scolopendridae. Scolopendridae is a diverse and cosmopolitan centipede family with most of its diversity concentrated in the tropics. 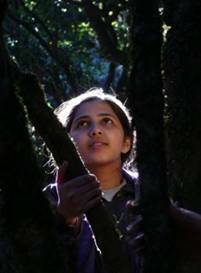 Peninsular India offers a unique setting to test the influence of the ecological, historical and geographic factors on the phylogeographic structure of the taxa. 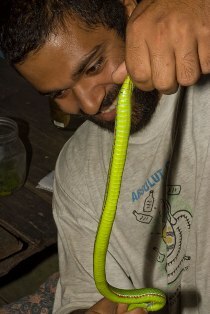 Six out of nine species of Digitipes(Scolopendridae) are endemic to peninsular India. Therefore, I analyzed the phylogeographic patterns of these six endemic species.